We are dealing with Castle Stones. Hand chiseled rectangular sand stone pieces has create dramatic look of finally dressed rock masonry. To cater the variegated demands of our clients, we are highly engrossed in offering a wide range of European Sand Castle Stone. Our company is able to to provide Castle Stone to our valuable customers. We are one of the best Supplier of Castle Stone. Our company is one of the major company who deal in Castle Stone. As a leading Supplier of Stone, we also provide Castle Stone. Flex stone has launched a unique stone named as clusterstone clusterstone cladding consists of a selection of stones combine together to form a "cluster". clusterstone can be applied to most surfaces. It is suitable for interior or exterior applications such as houses, garden walls, fireplaces and feature walls. We have a big team who is excellent in Supplying Castle Stone. We are a emerging Supplier of Castle Stone. 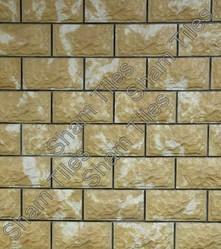 We have been able to offer our clients qualitive range of Castle Stone. - All Castle stone has natural surface with hand dressed edges. We gauged all stones to maintain the depth and make rough lines in the back of stones for better adhere on walls. 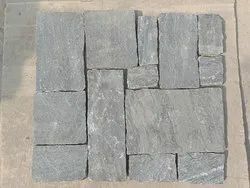 Castle stones are mainly rectangular and square in shape and commonly laid with grout space. - Height: 4" to 12"
- Depth: 3/4" to 1"
We are eminent Supplier of Castle Stone. We offer our clients Castle Stone.